Bo Bruce may have not won The Voice UK, but she has become a winner on her own right when her original Search The Night EP, has made its way through the iTunes music charts. The said album, which was recorded and released last 2010, peaked at the number 2 spot earlier this month, beating the single of the show's winner, Leane Mitchelle. 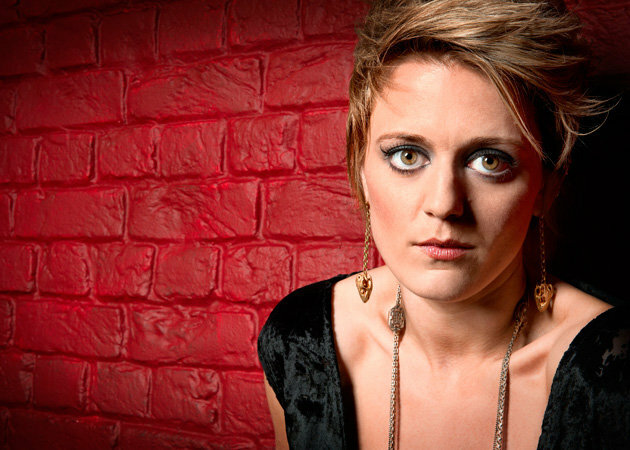 Bo Bruce's five track Search The Night EP is available for download at iTunes. Released on December 12, 2010 under Helamonster label, the EP includes Behind the Gates, Waking, Fighting Arizona, Crossfire and Black Ice. Two of these hauntingly beautiful songs have some accompanying music videos at her official channel. Bo Bruce expressed on her blog that she "can’t quite believe what’s happening." She added a very grateful statement to her fans, "I can’t thank you all enough... and I’m not sure I’ll ever be able to – other than to keep making music for you." She was able to overtake some well-established artist by that time the like of which include Coldplay. "As I write this, my EP Search The Night is at Number 2 in the iTunes chart which is the most incredible thing ever. Thank you to everyone who bought it. I was beginning to think that no-one would ever hear it... and now its overtaken Coldplay." The best news about it all is her promise that she will be recording a new album: "Whatever happens next, I will most definitely be making an album – and quickly – I will keep you posted on facebook, twitter, my website and whatever else they invent." Hopefully we will be able to have a copy of her future album not later than this year or the next. I can't seem to be satisfied with my Bo Bruce fix right now. I can't get enough of her! Not with her very beautiful voice and lovely face and all. All I can pray for her is success on her career and a happy life outside The Voice UK. Check out her hair-raising performances on The Voice UK.